Members of CAFNR International Programs and the University of Saskatchewan have met on several occasions to form a partnership in Ghana. Those who have taken part in these meetings have included, from left to right, Derrick Owusu-Ansah, Christy Copeland, Willi Meyers, Kofi Agblor, Ken Schneeberger and Bill Brown. Photo by Stephen Schmidt. Canada has been involved in the economic development of Ghana for decades, dating back to 1957 when Ghana became the first African country to receive financial assistance from the Canadian government. The University of Missouri has also built a strong presence in the West African country over the years – so perhaps it was only natural that the two entities would form a partnership to help better educate Ghana’s extension agents. Through a project called TEDMAG (Technical Education Development for Modernized Agriculture in Ghana), the University of Saskatchewan and the College of Agriculture, Food and Natural Resources’ International Programs (CIP) office have teamed up to form a comprehensive plan that hopes to improve the country’s overall agricultural productivity. The project consists of updating the curriculum taught at five agricultural colleges throughout Ghana, providing technological updates to the overall infrastructure of the schools and support for the country’s approximate 4,000 extension agents on modern agriculture techniques – and how to move from subsistence agriculture to a market-oriented system. The improvements will be funded through a 5-year, $15 million (CAD) arrangement being funded by the Canadian government through its Modernizing Agriculture in Ghana (MAG) program. An agreement was signed on Feb. 15 in Ghana by members of the country’s Ministry of Food and Agriculture (MoFA) following a final meeting between members of Saskatchewan, MU/CIP and Ghanaian agricultural leaders earlier in the month. The arrangement is the first by CIP involving Canadian funding and the first partnership with a Canadian institution. It was the consensus of representatives at both Saskatchewan and MU that extension agents in Ghana are well educated, but could benefit with additional connections, knowledge and support on input and output markets. CIP Director Willi Meyers said that Ghanaian farmers and extension agents have not been trained much in the ways of knowing how markets and value chains work. A group from both institutions went to Ghana in February to help finalize the agreement. The MU delegation included Copeland, Mary Leuci, CAFNR assistant dean and associate extension professor in rural sociology; and Jim Scott, director of the International Center and interim vice provost for international programs. Now that the arrangement has been finalized, Leuci and Jerry Nelson, professor emeritus in the Division of Plant Sciences, will head back to Ghana later in the year with their counterparts from the University of Saskatchewan to review the current curriculum being taught in the schools and in the extension offices “to better understand the strengths and weaknesses of current programs and identify options that will help both colleges and extension be more effective in achieving their missions” in the words of CIP international training coordinator Ken Schneeberger. The overall curriculum and extension improvements will also be overseen by an advisory board that includes Rob Kallenbach, assistant dean for Agricultural and Natural Resources Extension, and Jill Findeis, professor of agricultural and applied economics in the Division of Applied Social Sciences and their counterparts at the University of Saskatchewan. 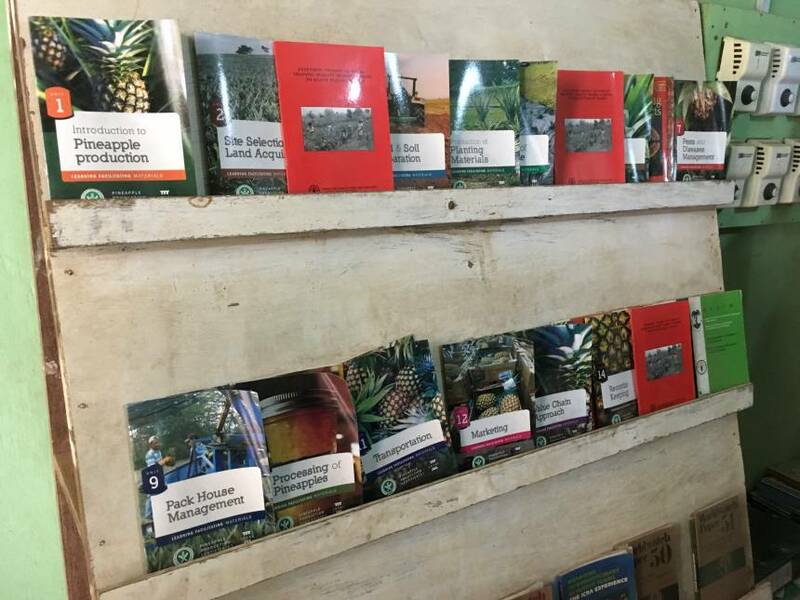 A sample of the extension materials found at the library of the Ohawu Agricultural College in the … Expand ▸A sample of the extension materials found at the library of the Ohawu Agricultural College in the Volta Region of Ghana. The new TEDMAG program will provide updated extension resources for the country’s extension agents. Photo courtesy of Mary Leuci. Owusu-Ansah works at the University of Missouri Assistance Program’s (UMAP) office in Ghana’s capital city of Accra. He works there with Nana Oforiwaa Koranteng, a Ghanaian independent development consultant with extensive knowledge and network in Ghana’s agriculture sector. The office, which opened in 2013 as an international non-governmental organization (NGO), mainly helps implement and provide training and logistics on the African continent for development projects initiated by the U.S. Department of Agriculture (USDA) and the U.S. Agency for International Development (USAID). One of USAID’s primary area interests has been the farming potential of the northern part of Ghana, called the “green belt” because of its hilly grasslands and big trees. This area is a source for rice, corn, yams, millet and sorghum, as well as livestock such as cattle and chickens. In addition, soybeans have been promoted through efforts such as the U.S. Agency for Development (USAID)’s Feed the Future Soybean Innovation Lab – a project that involves several MU researchers, some of whom made a breakthrough last fall in developing low-processing lines of the crop for Ghanaian farmers. In contrast, the southern half of Ghana, which receives up to 80 inches of rainfall a year, is where products such as cocoa, plantains and mangos are grown. Back in August 2016, a group of representatives from the University Saskatchewan and MU met back in Columbia to finalize the work plan of the agreement in accordance to the input from MoFA officials. The group included Kofi Agblor, the managing director of the Crop Development Center at Saskatchewan, and Bill Brown, a professor in the Department of Agricultural and Resource Economics at Saskatchewan, who specializes in farm and agribusiness management. Copeland, Owusu-Ansah, Meyers and Schneeberger were also in attendance. “The purpose of these next three days is to batten down the hatches and make sure we all agree on what we’re going to be doing, and how we’re going to do it and when we’re going to do it and who’s going to do it,” Brown said back in August. 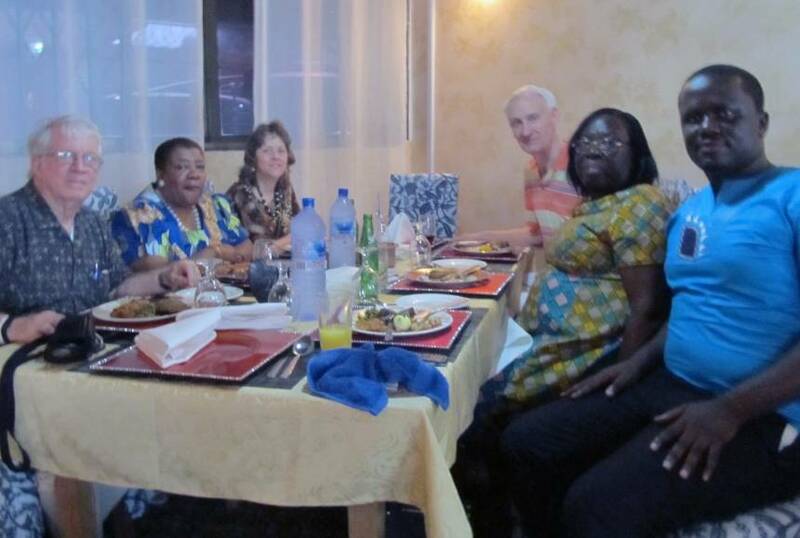 Members of the UMAP team dine with members of the CIP delegation during a visit in 2015. From left: … Expand ▸Members of the UMAP team dine with members of the CIP delegation during a visit in 2015. From left: Willi Meyers, Shirley Erves Kore, Christy Copeland, Jerry Nelson, Nana Oforiwaa Koranteng, Derrick Owusu-Ansah. Photo courtesy of Willi Meyers. It was Brown who first replied to an email in 2014 from Meyers about possible collaborations in Ghana with a Canadian university after the initial plans for the Canadian government to provide funding for a Ghanaian development project were unveiled. Although the August trip marked the first time that either he or Agblor had ever been in Columbia, Brown was well aware of Mizzou through Tom Johnson, a professor emeritus in the agricultural and applied economics department at MU, who had previously worked at the University of Saskatchewan with him. Agblor has lived in Canada in 1988, but hails from Ghana. He grew up on the east side of the country in a small village north of the town of Hohoe, 132 miles northeast of Accra. He also spent a fair amount of time with relatives in Accra. He has fond childhood memories of blocking out hot summer days inside the air-conditioned American Centre located on Independence Avenue in Accra, where anyone was welcome to read the latest editions of National Geographic and Time magazine. The relationship between Canada and Ghana has “always been friendly,” Agblor said, as both are former entities of the British Commonwealth. To this day a large portion of the graduate students in Brown’s department come from former commonwealth countries such as Ghana or Nigeria. 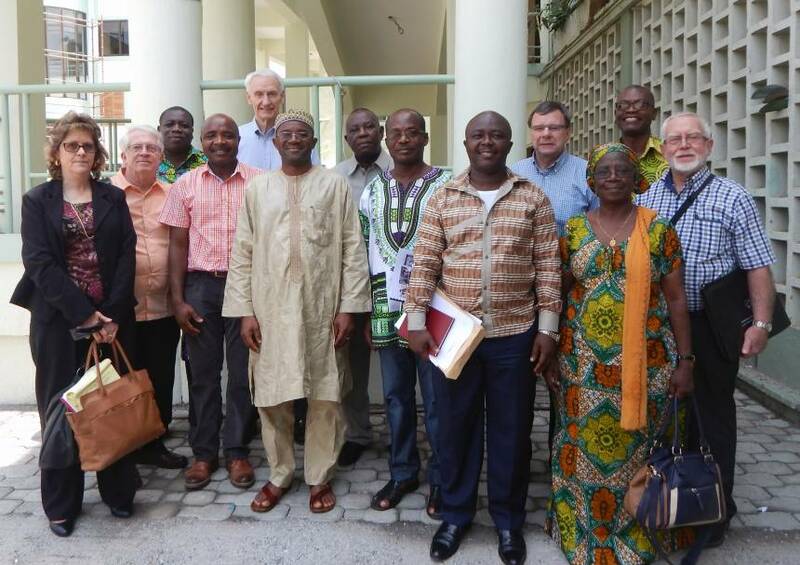 The combined delegations from MU/CIP, the University of Saskatchewan and Ghana’s Ministry of … Expand ▸The combined delegations from MU/CIP, the University of Saskatchewan and Ghana’s Ministry of Food and Agriculture pose for a photo taken in Ghana in Feb. 2015. Photo courtesy of Willi Meyers. Before leaving Ghana for England to work on a master’s degree and then eventually the University of Manitoba in Winnipeg, Canada, for his Ph.D. after that, Agblor earned his undergraduate degree in crop science at the University of Ghana in Accra, where he was classmates with Kwame Amezah, the director of the Agricultural Extension Services for MoFA. It was Amezah who had first visited MU campus and MU Extension centers in 2011 – with a delegation that included Koranteng — to help design the Ghana Agricultural Extension Enhancement Project, an initiative that would eventually turn into the foundation of TEDMAG. 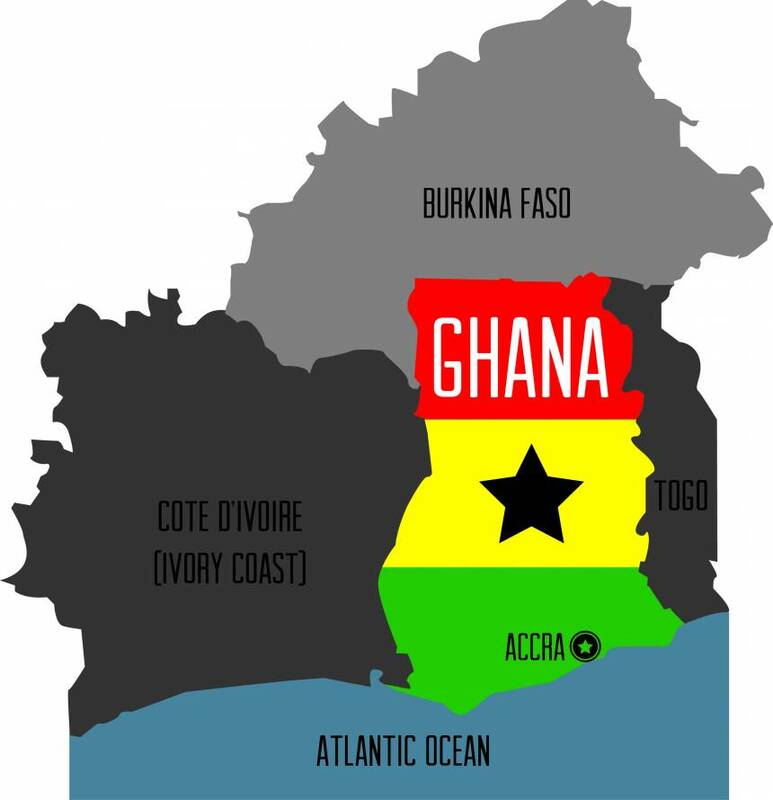 That same year, Joe Horner, extension associate for the Division of Applied Social Sciences, went over to Ghana to evaluate the institutes and colleges based on assessment that was provided in the project’s original concept design. UMAP would start two years later in 2013. Amezah has also been a big proponent of the partnership with the University of Saskatchewan, an institution that both parties realize share many commonalities with Mizzou. This includes membership in the Association of Public and Land-grant Universities (APLU). Saskatchewan is one of nine Canadian universities part of the APLU. “There are some links here and there, but to do something like this together is really building a larger collaboration,” Meyers said back in August.